It was his childhood dream of becoming famous that made him choose fashion and glamour world. Bangalore based Kashmir model Adil Shah, who has worked with brands like Van Heusen, Loreal Paris and Wrangler, talks to Irfan Tramboo about his struggle and success. Thirty-two-year old Adil Shah, a professional model based in Bangalore followed his childhood dream to make it big in the world of fashion and glamour. “I always wanted to be famous. I wanted people to recognize me when I walk on the streets. This was my dream,” says Shah. Some years back Shah’s family shifted to Soura from their congested downtown Rajouri Kadal residence. “Since my school days I had strong inclination towards glamour industry. I used to keep tab of what is happening in the world of fashion through television and magazines,” says Shah enthusiastically. “If you have your goals set start working on them immediately. I always knew that I wanted be a model so I started working on my dream from an early age,” says Shah. In 2008, after struggling for a while Shah finally got hopeful that his dream of becoming a model will be fulfilled when he was selected in Mega Model Competition, held at Bangalore. The competition being the launch pad for people who want to make their mark in the world of fashion and glamour became cornerstone for Shah. He won the title of ‘best potential for movies’ kick-starting his modeling career. All of a sudden he was in the limelight. “After winning the title I started getting calls from everywhere. It was good,” says Shah. Shah travels across India on assignments but he prefers to stay in Bangalore as weather is almost similar to that in Kashmir. Shah has modeled for some of the top brands in India like Jaguar, Monte Carlo, Denon, Myntra.com, Van Heusen, Peter England, Loreal Paris, Wrangler etc. Shah had his dream come true when he walked the ramp during London fashion week. Shah has walked the ramp for designers like Ritu Beri, Ramesh Dembla, Sandeep Khosla, Arjun Khanna, Ambrish Damani, Archana Kochar, Sagar Tenali and many others famous designers. “I have also worked with choreographers like Prasad Bidapa, Rahu Dev and Sheetal Ramchandani,” says Shah proudly. Shah, has worked with many international brands like Yep me, Diesel, Home Shop 18, Puma, Adidas, Daniel Hechter (Paris), Getsby collection and Wonder La. “That modeling competition proved turning point in my career,” recalls Shah. “Soon after winning the title and like how the things changed dramatically after that, I realized that I am now into this profession and it is cool, things are good,, let me take it now as it is. ” says Shah. Shah, while working as a model completed his Masters degree in business administration in 2012 from Bangalore. Shah feels bad when people fail to acknowledge his work as Kashmir is still not exposed to professions like modeling. “It pains when people take your work for granted. But thank God this perception is changing now. The younger generation is more exposed and accommodative. They can easily relate with glamour industry,” says Shah. It took him a while to convince his family about his choice of career. Anyone who tries to do something different is bound to face opposition and I was no exception. However one should not lose his enthusiasm,” says Shah. When he was struggling Shah had promised himself that he will prove his critics wrong by making it big in the world of glamour and fashion. “You ought to be confident enough to face the criticism. Once I achieved what I had set out to achieve, voices of criticism died down,” says Shah. Over the years it has become an unsaid rule for models to enter Bollywood once they have made their mark on the ramp, but Shah is in no rush. Shah, who has done promotional videos for Bollywood movies like Houseful 2 and Don 2, feels comfortable in what he is doing right now i.e. modeling. “I don’t want to join Bollywood. I am happy with what I am doing right now. I want to make my name in the fashion and glamour industry,” says Shah. 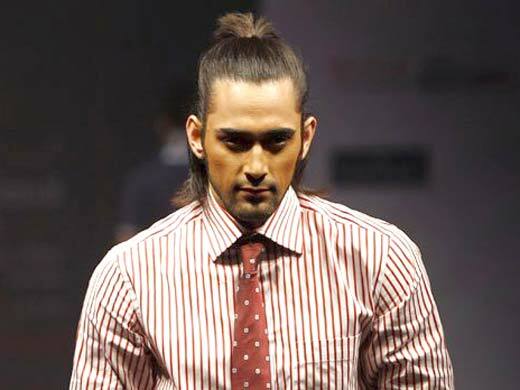 Shah is hopeful that with time Kashmiri will change their perceptions and prejudices towards professions like modeling. “Kashmir has gone through a lot already. But time is right for a change in mindset. And I am sure that it will happen one day,” Shah says with hope. Previous ArticleKashmiri Cinema, Is It? Next Article No More a Flea Market!